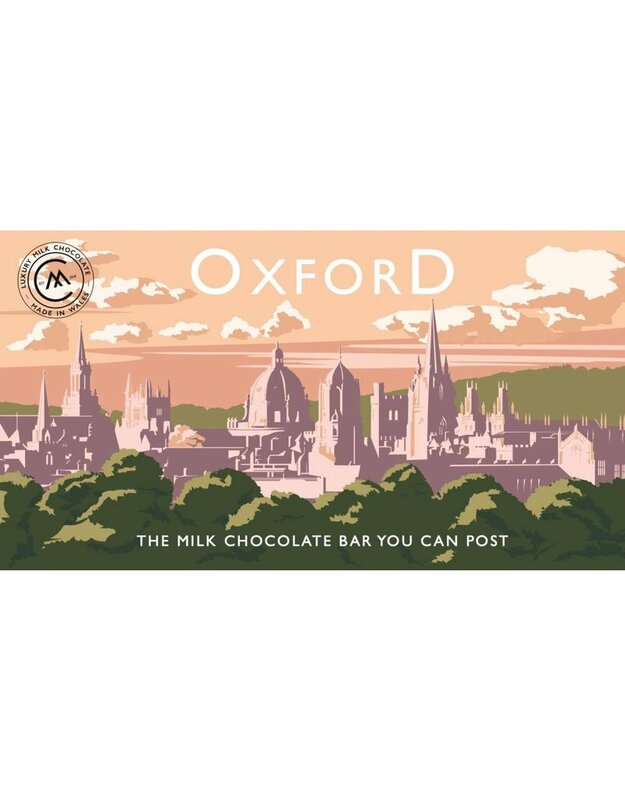 These timeless postcards from the UK's most stunning locations are perfect gifts for chocolate lovers. Our unique product captures a sense of place as well as great taste. The bars work equally well as a gift item or an indulgent treat with striking designs that would be well placed on a wall as in a confectionery counter. We so wanted to share the wonderful sights of Oxford with you the ‘City of dreaming spires’. Its elegant skyline of towers and steeples is charm enough but here, in the home of the oldest university, delightful cobbled streets give way to hidden corners and secret quadrangles. Like us you can lose yourself in this seat of learning, in its blissful history and in beautiful buildings like the Radcliffe Camera and Bodleian Libraries. Or the city may leave you feeling sprightly. It was here after all that Roger Bannister ran the first sub- four minute mile at Oxford’s Iffley Road track. Ingredients: Milk Chocolate contains: Sugar, Cocoa Butter, Whole Milk Powder, Cocoa Mass. 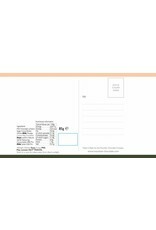 Emulsifier:Soya Lecithin. Natural Vanilla Flavouring. Cocoa Solids 34% Min., Milk Solids 22% Min. May contain NUT TRACES. Store in a cool dry place away from direct sunlight. 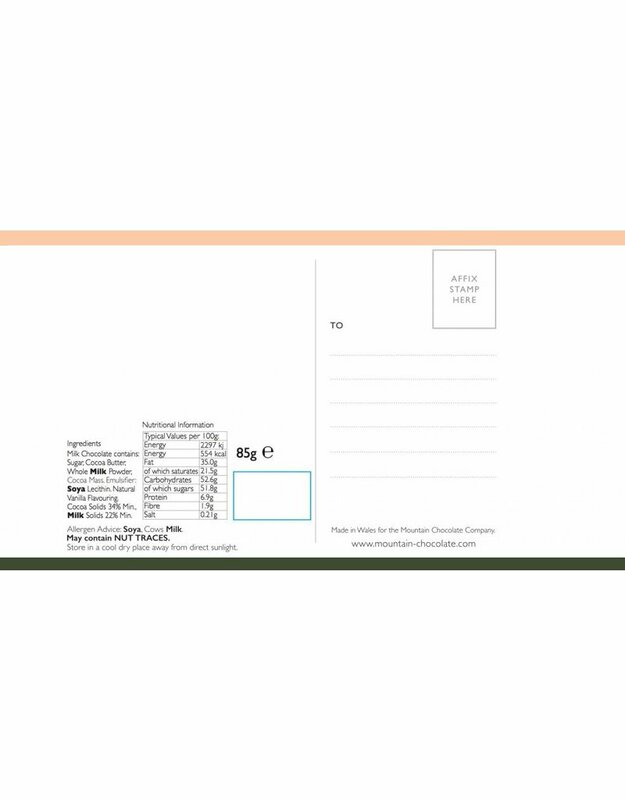 Nutrition Information: Typical Values per 100g: Energy 2297 kJ; Energy 554 kcal; Fat 35.0g; of which saturates 21.5g; Carbohydrates 52.6g; of which sugars 51.8g; Protein 6.9g; Fibres 1.9g; Salt 0.21g. 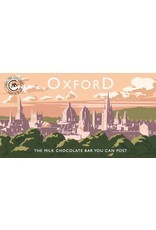 instantly recognisable chocolate postcard bar in the style the vintage posters of the 1940’s.